Participants | Experience as Evidence? Learn more about the participants of the symposium: speakers, discussants, and the organizing team. Samantha Adams is Assistant Professor of Patient-centered e-Health at the Tilburg Institute of Law, Technology and Society (TILT) of Tilburg University in Tilburg, the Netherlands. Her research line focuses on personalized web-based health information and includes extensive research on the reliability of health websites and use of social media in healthcare (blogging for health, crowdsourcing for quality and the ethics of using twitter for patient-professional communication). In collaboration with the Rotterdam Global Health Initiative, she recently began researching the development of Serious Games for educating the health workforces of developing countries. She has also conducted shorter-term projects on public participation in hospital decision-making, patient participation and use of mystery guests in health inspectorate reviews, and agenda setting in biomedical research. 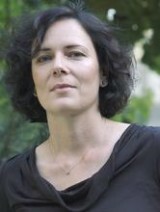 Madeleine Akrich is Directrice de recherche at the Centre for Sociology of Innovation, Mines ParisTech. Her research work has long been devoted to technology studies. For several years, her work has been centred on medicine. In collaboration with Bernike Pasveer she compared obstetrical practices in France and in the Netherlands, two countries where the techniques are used totally differently. She shows how the ways in which women experience pregnancy and childbirth is related to these specific sets of practices. With Cécile Méadel, Madeleine Akrich has been observing Internet discussion groups pertaining to health – patient as well as professional groups. Together with Vololona Rabeharisoa, she recently coordinated a European funded research project called EPOKS (European Patients’ Organisations in Knowledge Society), whose aim was to examine patients’ organisations engagement with knowledge and their role in the governance of health issues in different condition areas (rare diseases, Alzheimer’s disease, ADHD – Attention Deficit Hyperactivity Disorder – and childbirth) and different countries (France, UK, Ireland, Portugal). 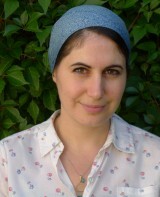 Havi Carel is Senior Lecturer at the University of Bristol. She recently completed a British Academy Fellowship, writing a monograph for Oxford University Press, titled Phenomenology of Illness. Her research examines the experience of illness and of receiving healthcare. She has written on the embodied experience of illness, wellbeing within illness and patient-physician communication in the Lancet, BMJ, Journal of Medicine and Philosophy, Theoretical Medicine and Bioethics, Philosophia and in edited collections. She is the author of Illness (Acumen 2008), shortlisted for the Wellcome Trust Book Prize, and of Life and Death in Freud and Heidegger (Rodopi 2006). 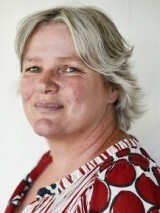 She is the co-editor of Health, Illness and Disease (Acumen 2012) and of What Philosophy Is (Continuum 2004). She also uses film in teaching and has co-edited a volume entitled New Takes in Film-Philosophy (Palgrave 2010). 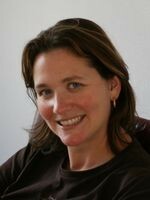 She recently co-edited a special issue of Philosophy on ‘Human Experience and Nature’ (Cambridge University Press 2013). 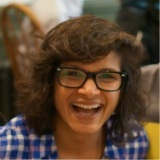 Farzana Dudhwala is a 3rd-year PhD student in the Saïd Business School at the University of Oxford. She is supervised by Professor Steve Woolgar in the Science and Technology Studies department and Dr Javier Lezaun at the Institute for Science, Innovation and Society. Her research looks at the relationship between self-quantifying technologies and the ‘construction’ of self-improvement. 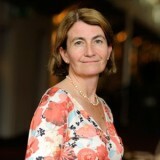 Trisha Greenhalgh is Professor of Primary Health Care and Dean for Research Impact at Barts and the London School of Medicine and Dentistry, London, UK. She studied Medical, Social and Political Sciences at Cambridge and Clinical Medicine at Oxford before training as anacademic GP. She leads a programme of research at the interface between the social sciences and medicine that seeks to celebrate and retain the traditional and the humanistic aspects of medicine and healthcare while also embracing the unparalleled opportunities of contemporary science and technology to improve health outcomes and relieve suffering. Two particular interests are the introduction of technology-based innovations in healthcare and the complex links (philosophical and empirical) between research, policy and practice. She is the author of 220 peer-reviewed publications and eight textbooks. She was awarded the OBE for Services to Medicine by Her Majesty the Queen in 2001. Tiago Moreira is Reader in Sociology at Durham University (UK). Since 2000, his research has been devoted to understanding the role of knowledge, evidence and standardised tools in the organisation of health care and governance of biomedicine. In 2012, he published The Transformation of Contemporary Health Care: the Market, the Laboratory and the Forum (Routledge), where he proposed that the regimes of efficiency, effectiveness and involvement have supported key changes in health care organisation since the 1970s. 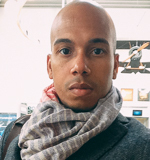 Since 2007, he has also been interested in the role of science and technology in the making and transformation of ageing societies, and he is currently researching and writing a historical sociology of forms of personalised age measurement from the 1950s to the present. He was Visiting Research Professor at the Centre for Healthy Ageing, Copenhagen University (2011-12). He is an elected member of the Editorial Board of Sociology of Health and Illness. 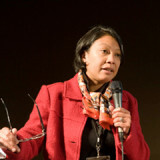 Jeannette Pols is Socrates Professor at the department of Sociology and Anthropology of the University of Amsterdam, and Associate Professor and Principal Investigator at the Section of Medical Ethics, Department of General Practice of the Academic Medical Centre in Amsterdam (AMC), University of Amsterdam. Her research runs along three main axes, analyses of the diversity of values relating to care, the way technologies help to shape positions of patients and how to evaluate these, and the practical knowledge of patients and carers. She explores the development of empirical ethics in care, which is an area of ethics that explores ethical questions by means of ethnographic research. Through comparative ethnographic analyses, her research provides insight into the practical and desirable ways in which these technologies shape care and societies, and the repertoires of ‘being human’ that follow from these practices. The aim is to discover and develop normative directions in complex technological societies. 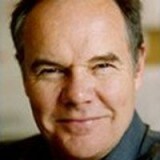 John Powell is Senior Clinical Researcher, University of Oxford Department of Primary Care Health Sciences. He is an academic public health physician and health services researcher with a particular interest in e-health and connected health: investigating how information and communication technology can be used to improve health and health services. His work sits on the interface between research, policy and practice, and his projects are usually interdisciplinary and collaborative. John also has an interest in knowledge management and systems improvement in the NHS and works part-time for NICE and part-time in Oxford. 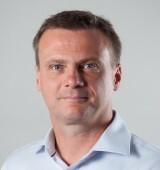 Since 2005 he has been a member of the NIHR Health Technology Assessment Editorial Board. 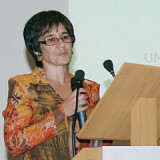 Vololona Rabeharisoa is Professor of Sociology at MINES ParisTech and senior researcher at Centre de sociologie de l’innovation. Her research interests are in science and technology studies, innovation studies, sociology of biomedicine, and patients’ activism. She has been searching patients’ organisations involvement in biomedical research for many years, notably in the area of rare diseases. She has investigated how this transforms the conduct of scientific activities as well as the shaping of patients’ social identities. She has extensively published on these topics, including a co-authored book with Michel Callon on the history of the French Association against Myopathies (Le Pouvoir des malades. L’Association française contre les myopathies & la recherche, Paris, Presses de l’Ecole des mines, 1999). Together with Madeleine Akrich, she recently coordinated a European funded research project called EPOKS (European Patients’ Organisations in Knowledge Society), whose aim was to examine patients’ organisations engagement with knowledge and their role in the governance of health issues in different condition areas (rare diseases, Alzheimer’s disease, ADHD – Attention Deficit Hyperactivity Disorder – and childbirth) and different countries (France, UK, Ireland, Portugal). 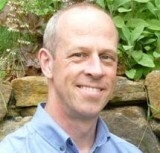 Glenn Robert is Professor of Healthcare Quality and Innovation at Kings College, London. Glenn’s research draws on the fields of organisational studies and organisational sociology and focuses on quality and service improvement in health care, and studying innovations in the organisation and delivery of health care services. His current interests include drawing on the field of design and the design sciences and identifying and testing any frameworks and methods that might have value in addressing some of the organisational development challenges facing the NHS. A particular focus of recent work has been on developing and testing an ‘Experience-based Co-design’ approach to service improvement. EBCD combines (1) a user-centred orientation (by adopting a filmed narrative storytelling approach) and (2) a participatory, collaborative change process, allowing staff to ‘see the person in the patient’ and placing patient and staff experience at the centre of service improvement. The approach has been applied and evaluated as an innovative approach in numerous healthcare services in the NHS and has subsequently been implemented internationally. Tanja Schneider is a Research Fellow in Science and Technology Studies at InSIS and the Saïd Business School, University of Oxford. Her areas of expertise include social studies of markets and marketing, media and consumer culture as well as the politics and practices of food governance with a particular interest in food marketing. Tanja earned an MA in Business Administration and Economics from the University of St. Gallen in Switzerland and a PhD in Marketing from the University of Sydney in Australia. Tanja is also a Fellow at the Unit for Biocultural Variation and Obesity and member of the Oxford Martin Programme on the Future of Food, both at the University of Oxford. Paul Wicks is Vice President of Innovation at PatientsLikeMe, an online community for people living with medical conditions. 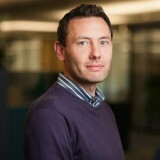 Specialising in the conduct of clinical research using the Internet, Paul is responsible for shaping the scientific validity of the PatientsLikeMe platform and generating insights from the personal health data shared by members. This sharing of online medical data has lead to novel studies including a patient-led observational trial of lithium in ALS, new patient-reported outcome measures in neurology, and a “dose-response” curve for the benefits of friendship between epilepsy patients. Prior to joining PatientsLikeMe, Paul worked at the Institute of Psychiatry (King’s College London) studying cognition and neuroimaging in rare forms of ALS, and the psychological consequences of Parkinson’s disease. In 2011 he was awarded MIT Technology Review’s TR35 “Humanitarian of the Year” award and was recognized as a TED Fellow in 2012. Alex Wilkie is Lecturer in Design at Goldsmith’s College, University of London, and has been working at the intersection between design and science and technology studies (STS) for over twelve years. Alex studied interaction design at the Royal College of Art and gained his PhD in sociology, an ethnographic study of user-centered design, at Goldsmiths. Alex was an original member of govcom.org, a group who designed and developed the Issuecrawler, an online tool for tracing and visualising controversy on the web and has been a member of the Interaction Research Studio since 2006. Alex is particularly interested in exploring computational technology and the politics of participation in issue-oriented design as well as inventive research methods and research through design. He currently works on topics including the design of energy and climate change, healthcare informatics and technological interventions into domestic living. Alex is also committed to developing sociological accounts of design practice, drawing on his engagement with developments in actor-network theory and process sociology, which informs his teaching. He is interested in supervising doctoral students in STS and design; interdisciplinarity and creativity; public engagement and participation in science and technology; the design and sociology of issues and controversies; inventive research methods and research through design; the design of healthcare services and technology; energy, sustainability and the environment. Kaiton Williams is a Ph.D. Candidate at Cornell University in the Information Science program, where he’s a member of the Culturally Embedded Computing group. As both a builder and critic of technologies, his research considers the role our devices increasingly play in our articulation of our selves: how we understand who, when, what, and why we are. His current dissertation work examines this through two interrelated studies: an ethnographic study of the makers, translators, and adopters of smartphone & internet technology in his home island of Jamaica, undertaken to understand how technological capability is being understood as a conduit to personal and national futures; and a multi-year auto-ethnographic study of personal health & fitness technologies, undertaken to acquire a personal, experiential perspective on digital-directed projects of self-legibility and self-transformation. Both projects marry reflection with generative critique and merge various methodological approaches with critical design and theory. His research is currently supported by the National Science Foundation and the Intel Science & Technology Center for Social Computing. 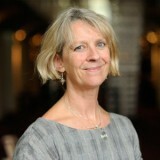 Sue Ziebland is Professor of Medical Sociology and Research Director of the Health Experiences Research Group, based in the University of Oxford’s Department of Primary Care Health Sciences. She is also a research fellow at Green Templeton College and in 2013 was appointed as an NIHR Senior Research Investigator. Sue’s background is in Medical Sociology, with increasing focus on qualitative research approaches. Since completing her MSc in Social Research Methods Sue has worked as a researcher in the academic, NHS and voluntary sectors and has published over 100 papers and chapters in social science and health publications. Sue’s other research interests include people’s use of the internet for health information and qualitative research methods (which she teaches at various levels). 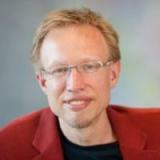 Teun Zuiderent-Jerak is LiU Research Fellow at the Department of Thematic Studies – Technology and Social Change of Linköping University, Sweden. He obtained his PhD in Science and Technology Studies from the Erasmus University Rotterdam in 2007, where he worked until 2014 as Associate Professor of Science and Technology Studies. His research focuses on standardization and quality improvement practices in healthcare, the construction of markets for public values, and STS research that explicitly aims to ‘intervene’ in the practices it studies. From 2010 until 2014 he was teaching coordinator of the Dutch STS PhD training program of the Netherlands Graduate Research School of Science, Technology and Modern Culture (WTMC). He has published articles in, among others, the academic journals Social Studies of Science, Science, Technology, and Human Values, Social Science & Medicine, Human-Computer Interaction, Science as Culture, BMJ Quality and Safety, and the British Medical Journal. He has also co-edited a special issue of Science as Culture on Unpacking ‘Intervention’ in Science and Technology Studies. His book Situated Intervention: Sociological Experiments in Healthcare is forthcoming at The MIT Press. Neil Churchill has been with NHS England as Director for Patient Experience for a year, where he leads improvement work on Domain 4 of the Outcomes Framework, giving patients a positive experience of care. Prior to joining the NHS, Neil had a 25 year career in the voluntary sector, working for organisations including Asthma UK, Age Concern England, Barnardo’s and Crisis. 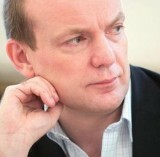 Neil was also a Non-Executive Director for NHS South of England and a member of the National Information Governance Board. He is a trustee of the London South Bank University Students’ Union and is a Research Fellow for the Smith Institute and recently was appointed on the Advisory Group on public services for Which? He lives in Sussex. Louise Locock is Director of Applied Research, Health Experiences Research Group, University of Oxford and Health Experiences Fellow, Oxford Biomedical Research Centre. Louise specialises in qualitative interview research into people’s experiences of health and illness. Since joining HERG in 2003, Louise has worked on experiences of pregnancy and antenatal screening, motor neurone disease, screening for sickle cell and thalassemia, evidence-based medicine and clinical trials. For the last few years she has specialised in experiences of research participation, including clinical trials, biobanking and cohort studies. 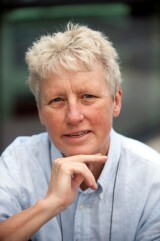 Her current project is on the experiences of patient and public involvement (PPI) in research. Fadhila Mazanderani is a Chancellor’s Fellow at the University of Edinburgh in the Science, Technology and Innovation Studies Group. She has particular research interests in the production and mediation of alternative forms of knowledge and ways of knowing in healthcare, and how we might use this to re-think the relationship between knowledge, ethics and aesthetics in medicine and related fields. Her work to date has focussed on the role of internet technologies in the lives of people affected by different medical conditions. After completing her DPhil at the University of Oxford, Fadhila worked as a post-doctoral researcher on an NIHR funded project (iPEX) where she researched the sharing of experiences on the internet by people affected by Multiple Sclerosis. 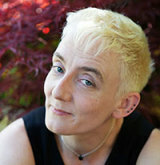 Prior to joining the University of Edinburgh, she was a Lecturer in Sociology at Durham University. James Munro is Chief Executive and Chief Technology Officer at Patient Opinion, a non-profit social enterprise which enables people to give feedback about their experiences of health and social care online, and perhaps improve services as a result. He worries endlessly about scalability, usability and data management, and is constantly planning new features for Patient Opinion. Some of these will actually appear. James has a background in clinical medicine, public health and health services research. Steve Woolgar is Professor of Marketing and Director of Science and Technology Studies (STS) at Saïd Business School, University of Oxford. His areas of expertise include governance and accountability relations, mundane objects and ordinary technologies, provocation and intervention, visualisation and evidence, social theory and the use of neuroscience in business and management. Steve served as the Director of the Economic and Social Research Council’s (ESRC) ‘Virtual Society?’ programme for five years, overseeing more than twenty research projects throughout the UK that examined the wide range of social impacts of new electronic technologies. ‘Virtual Society?’ was a key part of a STS movement that showed the unintended effects of implementing new technology systems. Steve has also served as a strategic advisor for numerous international organisations including Philips (Netherlands), Elsevier (Oxford), the World Executive Institute (Beijing), World Brand Lab, a brand valuation consultancy. Steve’s current work focuses on the areas of mundane governance, neuromarketing and web-based rating and ranking schemes. 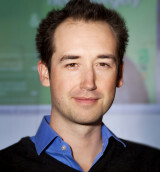 Malte Ziewitz is an Assistant Professor of Science & Technology Studies at Cornell University. Broadly based in Science and Technology Studies (STS), ethnography, and public policy, his research revolves around issues of governance, accountability, and evaluation in digitally networked environments. 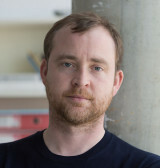 His recent work explores evaluative practice in healthcare and and search engine optimization (SEO); algorithmic ordering; the history and performativity of internet governance; the ethical implications of presence technologies; the nature and uses of “crowd wisdom” in regulation; and computational privacy. 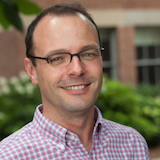 As Principal Investigator, he headed the ESRC-funded “How’s My Feedback?” project, a collaborative design experiment to rethink and evaluate online review and rating websites (www.howsmyfeedback.org). His research has been supported by the National Science Foundation, the Economic and Social Research Council, the German National Academic Foundation, an OII/PGP Scholarship, and the German Academic Exchange Service. Malte holds a DPhil from Oxford University, an MPA from Harvard University, and a First State Exam in Law from the University of Hamburg.